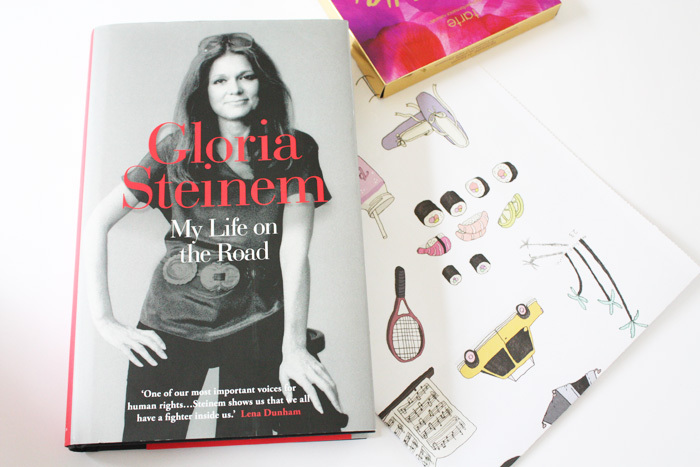 My Life On The Road is Gloria's memoirs of her early years and how they led to her life of adventure and travel, inspiring change and learning the stories of others. It starts with her recounting tales of her travels with her late father and then moves into her time as an activist, educator, supporter and storyteller. She also intertwines her stories with accounts from other men and women which make her words all the more insightful and engaging. It's such a fascinating, inspiring read and while we still have such a long way to go on the journey to equality, there's definitely been some positive progress made. I particularly have enjoyed learning about the role and representation of women in politics in the United States. Her writing on Hilary Clinton was eye-opening to me and has made me want to pick up Hilary's book now too so I can learn more about the amazing things she does and has done. I highly recommend this book if you're interested in memoirs, the feminist movement, adventure and inspiring others. Gloria Steinem has a way of writing seamlessly and making you want to stay immersed in her writing for as long as possible. One day I'd love to hear her speak in person because I imagine it'd be extraordinary and life changing, in the best possible way. Even though I still have 100 or so pages left of this to read I know it's going to get a high rating from me once I am done. -Have you read this book? What did you think of it?